Do you need to make it fit? – You have come to the right place. Bring in your suit, skirt, pants, jeans, jacket, wedding or prom dress, or any other garment to our Make It Fit store for professional fitting and alterations while you shop at Lougheed Mall. Our friendly and knowledgeable staff will help you with fitting and advice to make sure the garment perfectly fits your body the way you like it, while our worry-free complete Satisfaction Guarantee will give you piece of mind. For your convenience, we provide “Hem It While You Wait” service for all pant hems and small alterations while you shop at Lougheed Town Centre. We can cut jeans or pants hem with the original, plain and euro style. For the best result, we recommend fitting with the shoes that you plan to go with the pants. We can sew in zippers, repail pullers, and replace old zippers on jackets, pants, jeans, skirts, dresses, cushion covers, baby suits, ski jackets and suits, motor bike gear, leather jackets and many other garments. We match the original zip where possible. We can taper skirts, shirts, jackets and pants to suit the individual’s requirements for that perfect tailored look. 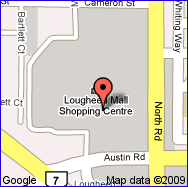 We can do mending expertly and reliably during your visit to Lougheed shopping centre. We can name your garments using our Embroidery service. We can sew on the labels on all your garments. This service is particularly helpful for school clothes or garments to be worn in hospitals or care accommodation. We can shorten your jeans with the original hem. We can shorten your pants with a cuff. We can shorten skirts and dresses, with or without lining. We can expertly shorten pleated skirts and dresses. We can professionally shorten blazers, jackets and coats. We can shorten your old T shirts and make them fashionable. We can lengthen many garments by adding a false hem. Bring the garment to our store together with the shoes that you would like to wear, and we will advise you on the best means of lengthening the garment. – If your buttons have fallen off, bring them in and our tailors will quickly sew them back. – We can make the button holes as well, if you need them. – We can replace broken jean studs. – We can arrange for a variety of studs and eyelets to be replaced. We can sew the numbers on the jumpers and jackets. We can patch torn jeans, pants or other garments and we will patch it. Our expert tailors are very creative in mending garments. Our tailors can machine sew or hand sew your garments and some other items as required. If you want that small job done, such as curtains hemmed, or even your bed sheets altered, bring them in and our tailors will provide you with a reasonable quote. We also sew on badges, hooks and eyes, press studs and many more. We can professionally alter leather garments such as jackets and pants to give that “perfect fit”. We also expertly patch tears in leather garments. We can embroider on caps, T shirts, sports tops, jackets, jumpers, pants, work shirts, work overalls, bags, singlets, towels, dressing gowns, blankets, christening shawls, upholstery, canvas chairs, horse blankets and many more using large range of fonts and colors. We can embroider your own club or corporate logo. * Offers are subject to change without notice.